Hi Everyone! 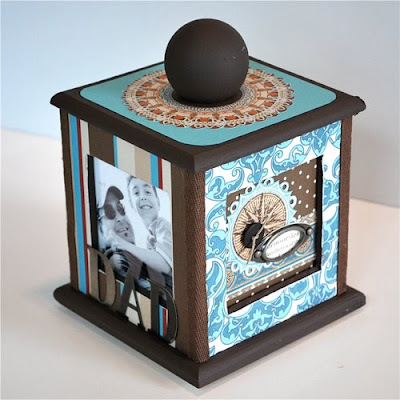 Just wanted to share a fun Father's Day project I created using the Debonair line from GCD Studios. 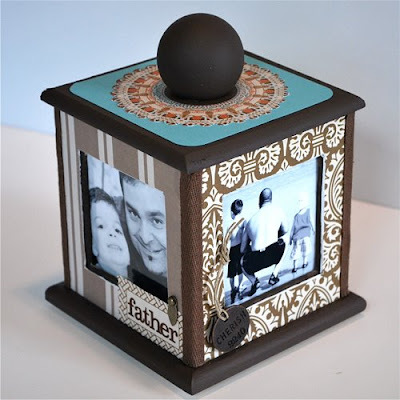 I purchased an unfinished wooden photo cube from Michael's and, using goodies I already had in my stash, I was able to create this altered project for my sweet hubby for Father's Day. WOW! Love the details and what an adorable picture! that is sooooo cute! what a great idea! this is such a cute idea. i've seen those cubes and never knew what i'd do with them. but you did a great job on this!